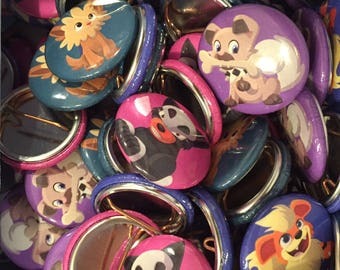 I have done a head count of each button design and opened up single button options for Poképup buttons! Growlithe is almost sold out so get yours soon! I’ve opened up a teepublic where you’ll find a few designs available as shirts and other merch! So far I have Pokémon seasons and a new Ghost puppy design for Halloween! Ghost will be on sale for 1 DAY ONLY! 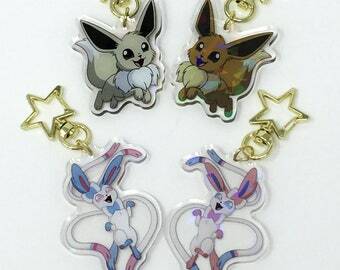 Eeveelution sticker sheets are now available! 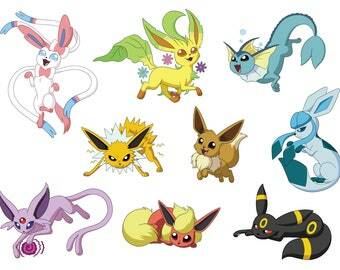 Keep an eye out this fall for “fan Eeveelution” sheets as well! Hi there! I'm Caitlin! 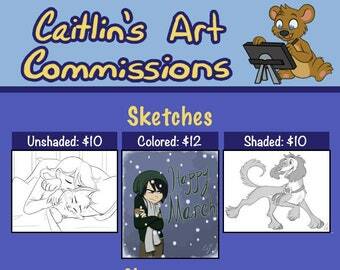 I am a freelance animator from NY. 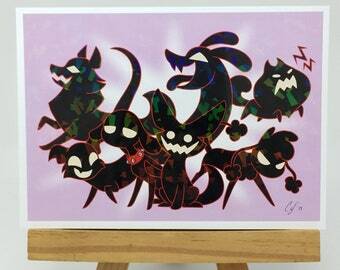 In my shop you'll find an assortment of original and fan art. A lot of what I create is inspired by animals and urban fantasy. As far as fan art goes I love drawing characters from different types of anime and games. 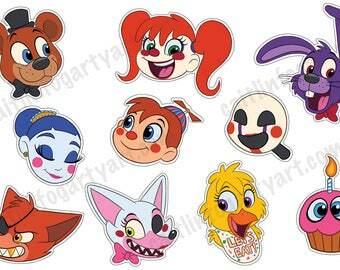 Five Nights at Freddy's, Pokemon and Digimon are among the few my top favorites to draw.